From the Medieval poem La Chanson de Roland to the modern day author Michel Houellebecq, French authors have produced some of the most daring and influential works of European literature. But you don’t have to take our word for it. Indeed, France still holds the world record for the most Nobel Prizes for Literature. Not only does France produce great artistic minds, it attracts them too. As you probably know already, many of America’s finest authors “found their voice” in a Parisian café (e.g. Ernest Hemingway, Henry Miller, Ezra Pound). In this list, we’ll take a look at five of France’s greatest writers. All of the authors on this list are studied, enjoyed, and revered both in France and around the world. Considered by many to be the father of literary Realism, Gustave Flaubert was born in Rouen to a family of surgeons in 1821. It’s quite interesting that Flaubert, who was surrounded by doctors and operating rooms from an early age, would choose to lead a literary life. 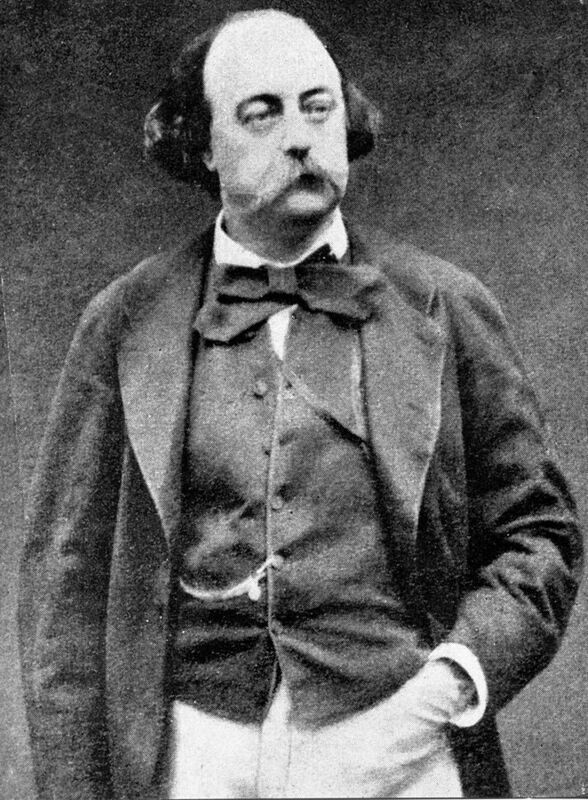 Flaubert was initially studying to become lawyer, but a nervous disorder forced him to give up studies and stay at his family’s estate in Croisset. Besides an expedition to the Middle East, Flaubert spent most of his time at his estate working on his novels. The first major work Flaubert completed was called The Temptation of St. Anthony. When Flaubert returned from his tour of the Middle East in 1851, he immediately began work on his most influential novel: Madame Bovary. Flaubert was inspired to write this story after reading a local news article about a married woman named Veronique Delphine Delamare who committed suicide after cheating on her husband. It took Flaubert five years of hard work to complete this tragic novel. Published in 1856, Madame Bovary’s realistic description and subject matter caused a stir in France. The novel was considered “immoral” and Flaubert was put on trial for obscenity in 1857. After Flaubert was acquitted, the novel became an instant bestseller across France. Many readers still feel that Madame Bovary is the finest tragic novel ever written. Just a few of Madame Bovary’s big-name admirers include Henry James and Vladimir Nabokov. Flaubert did write a few dramas, but they didn’t go over well during his lifetime. Flaubert was a perfectionist. 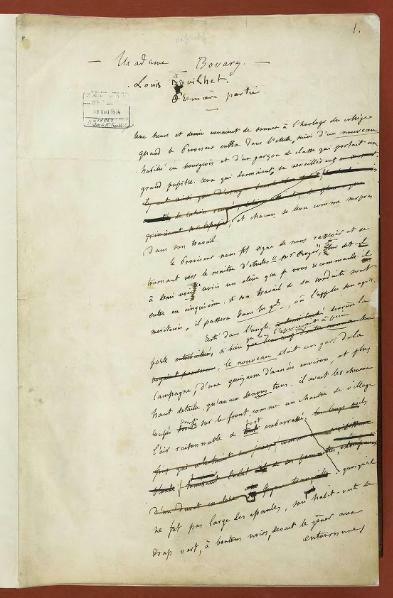 Sometimes he would spend weeks working on just one page in search of “le seul mot juste” (“the unique right word”). So, if you ever read a Flaubert novel, please take your time and savor every sentence. While the oeuvre of this French author may not be huge, every single book he published was written with great care and attention to detail. 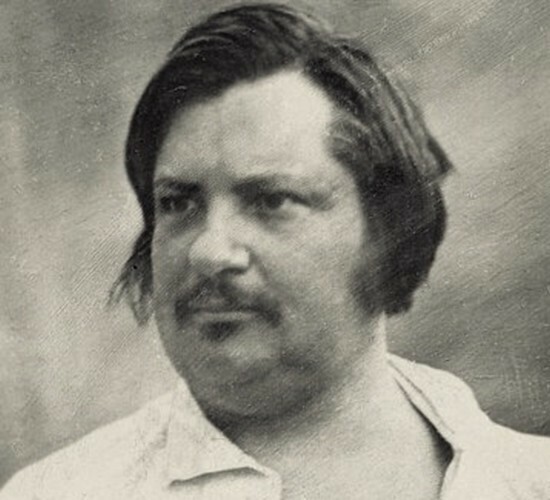 Honoré de Balzac was born in 1799 in Tours, France. His father worked as a civil servant to Napoleon and his mother owned a Parisian cloth manufacturing company. 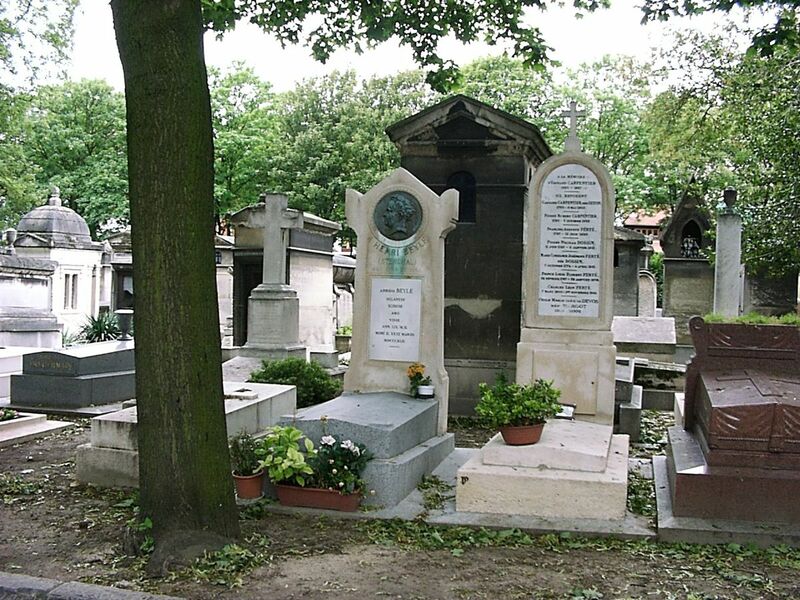 After a brief education in Tours, Balzac’s family moved to Paris when he was in his teens. After a brief job as a lawyer’s clerk, Balzac struck out on his own in the hopes of becoming a famous literary writer. To try and earn a living, Balzac started working on sensational novels and tried to learn the publishing trade. Unfortunately, Balzac was never good with finances. He almost went bankrupt in 1828, and he was constantly in debt for the rest of his life. It wasn’t until 1829 that Balzac produced his first successful novel: Les Chouans. This novel told the story of a group of royalist Breton peasants who rose against the French Revolution in 1799. As you can tell from the subject matter, Balzac was an unapologetic Royalist throughout his life. He was so concerned with his social status that he lied about his genealogy to friends and added the honorific “de” to his name. After Les Chouans, Balzac wrote numerous stories dealing with infidelity and the psychology of peasant girls confronting parental authority. These works were published as La Physiologie du mariage and Scènes de la vie privée. 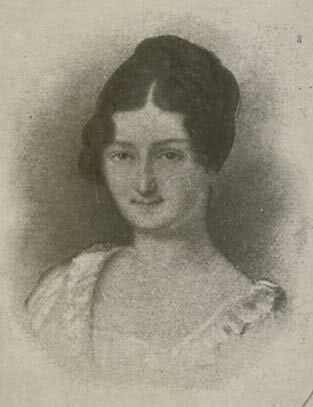 Some of Balzac’s tales caught the attention of the Polish countess Éveline Hanska. The two met in the 1830s both in Switzerland and agreed to get married as soon as Hanska’s old husband passed away. Before Balzac could marry Hanska, he had to get rid of his debts. This forced Balzac to work like a madman between 1832-1835, sometimes sitting at his desk for 14 hour stretches. He produced over 20 novels in this incredible period, including his famous re-telling of King Lear in 19th century Paris: Le Père Goriot. The main focus of all Balzac’s novels was to analyze how the individual confronts society, especially with the fall of aristocratic ideals and the rise of more materialistic bourgeoisie morality. Balzac was especially interested in how individuals from the countryside adapted (or failed to adapt) to metropolitan Paris. If you read enough of La Comédie humaine, you’ll notice that many of Balzac’s characters appear in different novels. Historians believe Balzac was the first to recycle characters in various novels. All in all, La Comédie humaine contains almost 100 novels and short stories. It wasn’t until 1842 that Éveline’s husband passed away. Even though Balzac visited Éveline on numerous occasions in Poland, she didn’t agree to marry him until March of 1850. Sadly, by that time Balzac was already extremely ill and he passed away in August. The only people who read Proust’s 3,000 page multi-volume À la recherche du temps perdu (often translated In Search of Lost Time) nowadays are critics or literature students. But now, thanks to Alain de Botton’s popular How Proust Can Change Your Life, more lay readers are getting into Proust’s prose. Although Proust’s page-long sentences can be imposing, In Search of Lost Time is a sublime reading experience with no comparison in modern fiction. 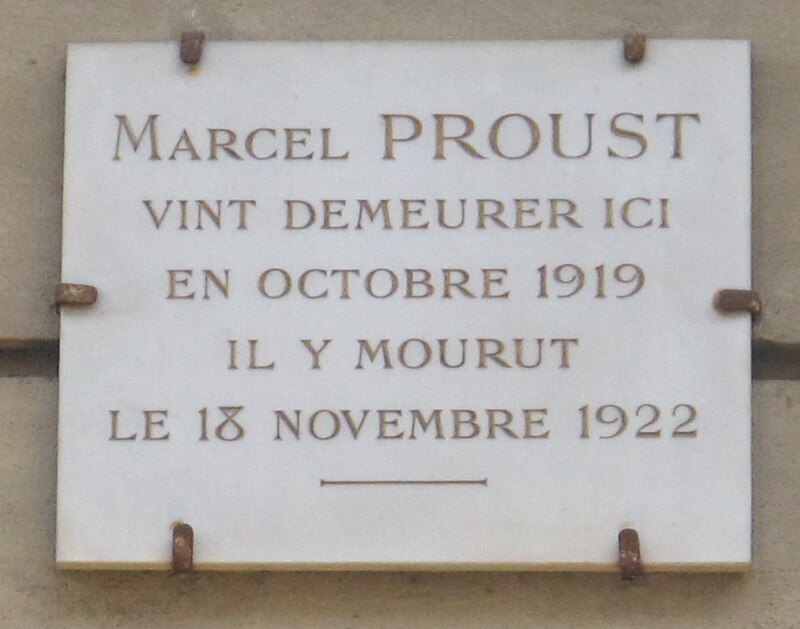 Marcel Proust was born in 1871 in Anteuil. In 1880, Proust experienced the first of many asthma attacks that would plague him for the rest of his life. He studied both law and literature in school and became interested in the philosophy of Henri Bergson. His first major published work was a collection of short stories called Pleasures and Days (1896). He also started to write an autobiography called Jean Santeuil, but abandoned this project once he started In Search of Lost Time. 1899 was a critical year for Proust. That’s the year he discovered British art critic John Ruskin‘s work. Ruskin’s theories inspired Proust to seriously develop his own aesthetics in “Contre Sainte-Beuve.” In this essay, Proust states that the artist’s spiritual task is to shock the reader out of his habitual daily programing and re-infuse reality with grandeur and sublimity. Proust would achieve this lofty goal in his own massive multi-volume novel. In 1909, Proust experienced a profound moment of revelation. While he was eating a biscuit with some tea, Proust suddenly recalled images from his childhood that he hadn’t thought of in years. This experience of involuntary memory became the impetus for Proust’s famous “madeleine episode” in the first tome of In Search of Lost Time: Swann’s Way. Marcel Proust became more and more reclusive as he aged. After his parents died, he had financial independence and would often stay in his soundproof cork-lined apartment and write all day long. He achieved worldwide fame when his second novel won the prestigious Prix Goncourt. 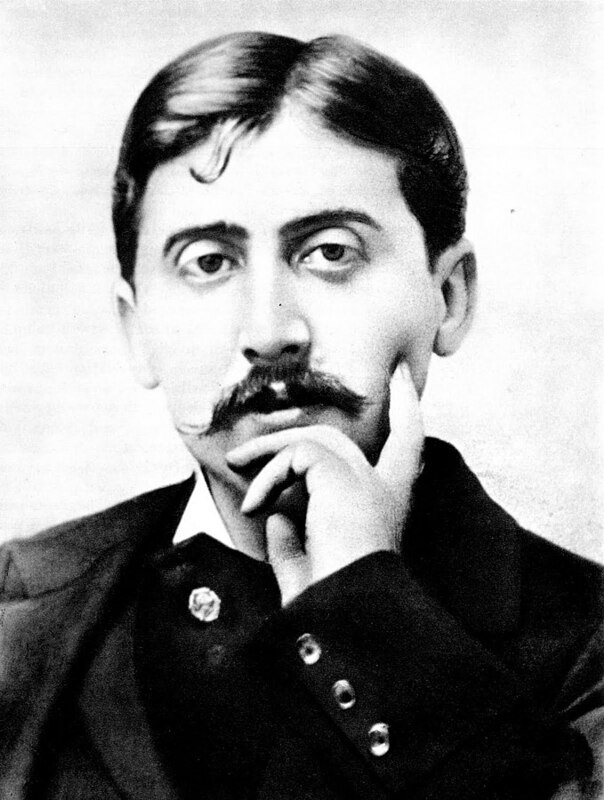 Proust finished all of his books before his death in 1922. The last three novels of In Search of Lost Time were published posthumously. Stendhal is the penname for Marie-Henri Beyle, yet another great 19th-century French author. He was born in 1783 in Grenoble and died in 1842 in Paris. In 1799, he decided to leave his father’s oppressive home and study literature and math in Paris. A few months later, Stendhal’s family forced him into the French military. This gave the budding artist a chance to tour the great cities of Italy, which would become extremely important in his fiction. In 1806, Stendhal got a job as an adjunct military commissary to Napoleon. This job took him all around Germany and Russia. After Napoleon fell, Stendhal decided to settle in Milan and begin his literary career in earnest. Stendhal first completed a few biographies of composers, a travelogue, and a history of Italian painting. He fell madly in love with Métilde Dembowski, but she was totally uninterested in him. This unrequited love left a deep impression on Stendhal’s later life and fiction. 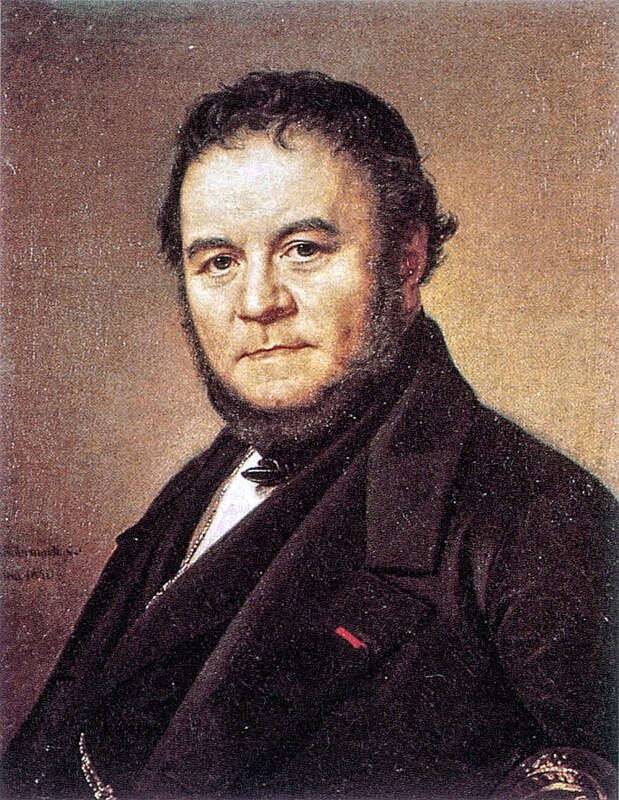 In 1821, Stendhal returned to Paris and quickly became involved in various intellectual salons. He published his first major work on Romanticism (Racine et Shakespeare) in 1823. He also produced his first novel, Armance, and his first masterpiece, The Red and the Black, during this time period. After the 1830 July Revolution, Stendhal was hired by the French government to do administrative work in Civitavecchia, a city near Rome. To deal with the tedium of administrative life in Civitavecchia, Stendhal spent a great deal of time writing, developing his philosophy on life, and exploring the city of Rome. His most important work was the novel The Charterhouse of Parma, which follows a dissolute Italian aristocrat in the Napoleonic era. Amazingly, Stendhal wrote this novel in around 50 days. Believe it or not, Leo Tolstoy used Stendhal’s novel to help him write War and Peace. Ever since Stendhal’s passing, his reputation as a unique voice in the French Romantic movement has grown. Along with his two major novels, many readers enjoy Stendhal’s more autobiographical works like Lucien Leuwen and Memoirs of an Egotist. Like so many other Romantics, Stendhal was deeply concerned about the conflict between the individual and society. Stendhal’s interesting blend of Romanticism and skepticism has made him a key intellectual figure in 19th century France. 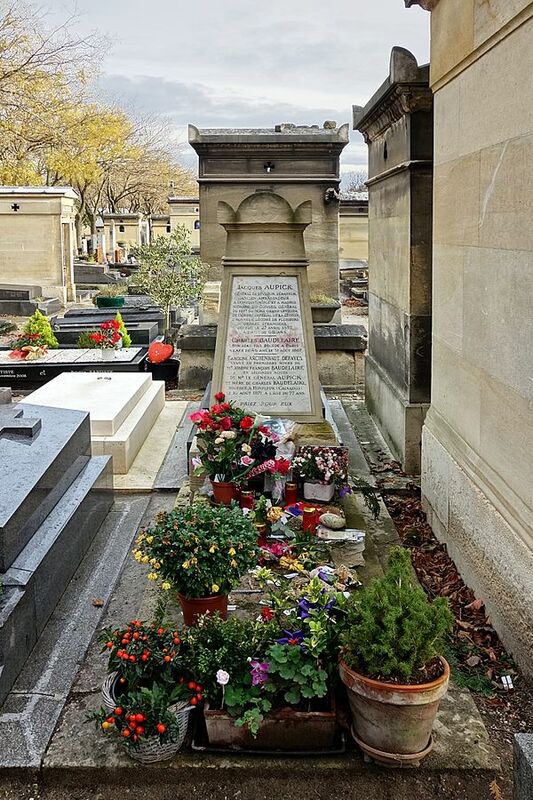 We close out this list with the greatest French poet: Charles Baudelaire. Baudelaire was born in 1821 in Paris. The young boy’s father died shortly after Baudelaire was born, and Baudelaire’s mother quickly re-married a French soldier. Baudelaire excelled in his studies, but his teachers noted Baudelaire’s peculiar solitary nature. Although Baudelaire eventually enrolled to study law in Paris, he spent most of his time in the Latin Quarter’s brothels. This led his stepfather to force him on a trip to India with the French government. Baudelaire was so against the voyage that he actually jumped ship and returned to France. In 1842, Baudelaire got an inheritance and began to spend on lavish clothes items and drugs like opium. He also met a mistress named Jeanne Duval who would have a profound impact on his poems. In 1846, after racking up huge debts, Baudelaire began writing what would become his major collection of poetry: Les Fleurs du mal (“The Flowers of Evil”). To establish his reputation in Parisian literary circles, Baudelaire also wrote numerous critical works and translations of Edgar Allan Poe. Immediately after Les Fleurs du mal was released in 1857, Baudelaire was put on trial for obscenity. Six poems were officially banned from print and Baudelaire was forced to pay a fine of 50 francs. Both the book and the author instantly became synonymous with the depravity of urban life. By 1861, Baudelaire was bankrupt and began to show signs of a venereal disease. His symptoms became so bad that he spent the last year of his life in a Parisian nursing home. He was only 46 when he died. Along with Walt Whitman, Baudelaire is considered the first great poet of city life. The poems in Les Fleurs du malare are full of haunting grotesque images, frank eroticism, scenes from modern Paris, and exoticism. These bold poems continue to shock the contemporary reader. Baudelaire became of great importance to the Modernists, especially T. S. Eliot. Even if you’re not into poetry, you should read Baudelaire’s daring opening poem in Les Fleurs du mal called “To The Reader.” After an opening like this, how could you not want to read this incredible oeuvre? As long as the French language survives, you can be sure there’ll be plenty of great French fiction. So, what are you waiting for? 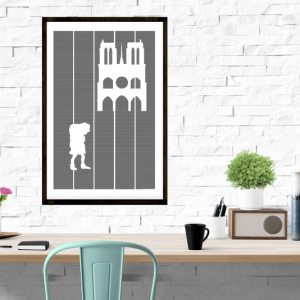 It’s time for you to brush up on your French and pick up a few masterpieces! 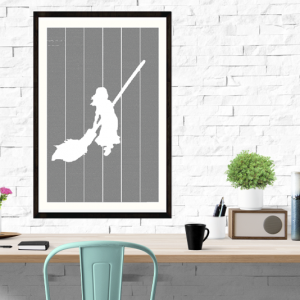 Check out your favorite French authors on our full-text book posters!